The horror genre is a paradox for me. I love reading scary books and watching scary movies, but as soon as I close the book or turn off the television, I regret my actions immediately. I’m the kind of person that has an overactive imagination (I blame all the books I read) so whenever I’m alone in the dark I can get carried away with thoughts of the paranormal. Thanks to a busy husband, I spend lots of time alone in my house with only my cats for comfort, so I have unlimited opportunities to imagine the worst in shadowy corners, and it always seems to involve the supernatural. Intruders, murderers and even peeping toms I can handle, but throw in an unexplained sound or movement and I find myself on edge for the rest of the night. 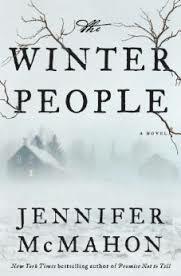 This is all to lead to my inevitable conclusion that The Winter People is a very scary book. It’s a ghost story, some have even described it as a literary thriller, although it’s very accessible and plot-driven, so don’t let the ‘literary’ scare you away (see what I did there?). Even the cover is creepy! There was a review of the book in the Calgary Herald a few months ago that wasn’t the kindest to McMahon, it basically complained that the storyline spiraled into something that was unrecognizable from the beginning of the book. Although this is true, the story takes quite the turn as it nears the end, I don’t necessarily see that as a bad thing. Truthfully, I was quite relieved that the spookiness of the book faded out because I didn’t think my nerves could take much more. But in addition to this, I would point out that many horror/ghost stories tend to turn out to be something entirely different that originally expected. In fact, I would go so far as to claim that this is a common theme in this genre. Instead of doubting McMahon’s skills as an author, I’m more inclined to give her the benefit of the doubt and assume that she intended to take the reader on a bit of a roller coaster towards the end. So what made this story so scary? Well for one thing, there are small children who mysteriously perish and haunt people afterwards. I’m sure many would agree that there’s nothing creepier than small undead children running around ( does anyone remember the Blair Witch Project? This is a perfect example). But more than that, there are lots of unexplained coincidences, and normal household closets play a particular role as portals for the undead. Typical, every day items that are turned into horror-inducing objects are never good developments for someone with an overactive imagination like myself. I’ll admit that some of the characters are a little more believable than others, but really, who the hell cares about that, Stephen King was never known for his ingenious character development, and it’s not fair to expect all the elements of a finely crafted novel PLUS a terrifying plot, all at the same time. Maybe my standards aren’t high enough, but I got a good scare from reading this book, and in the end I believe that’s what really matters. 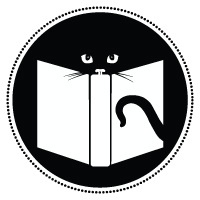 Next Next post: Alberta Literary Awards Shortlist Announced! Thanks for a wonderful review! Thanks for reading my blog! I just posted it-you’re a fast reader!